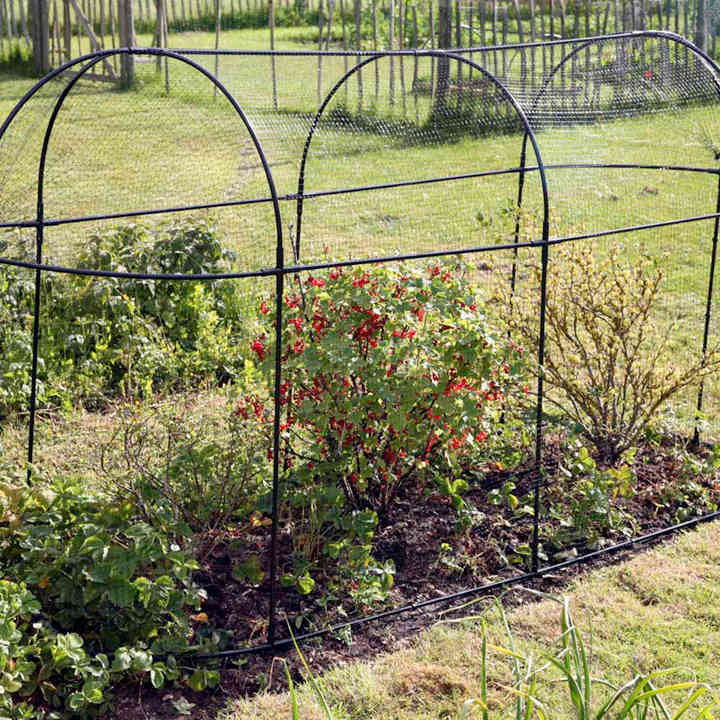 Protect precious fruit crops from hungry birds with these practical and attractive fruit cages. Ideal for raspberries, blackcurrants, blueberries, gooseberries and more. Complete with a strong 15mm polyethylene mesh, flexible long-lasting rubber joints, 8 galvanised steel ground pegs, and full instructions for quick and easy assembly. They measure a useful 3m (9'10") long x 1m (3'3") wide x 1.5m (5') high. 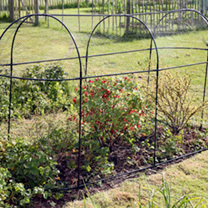 Steel Fruit Cage - Robust yet lightweight straight and curved steel poles.